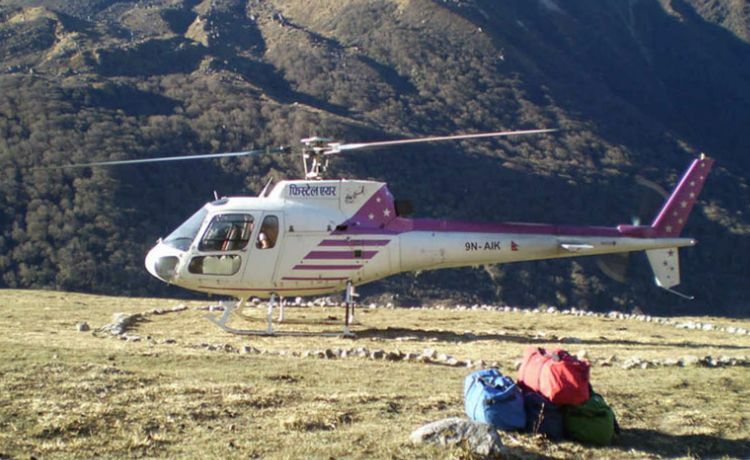 Langtang Helicopter flight seeing can give you an immense pleasure soaring high up Kathmandu and have an aerial view the valley then an hour tour to Langtang mountain ranges. You can have close view experience over the Langtang National Park, which the home for the rare Red Pandas. You can see Langtang Lirung (7,246 m), Ganesh (7,407m), Dorje Lakpa (6,975 m) clearly visible. 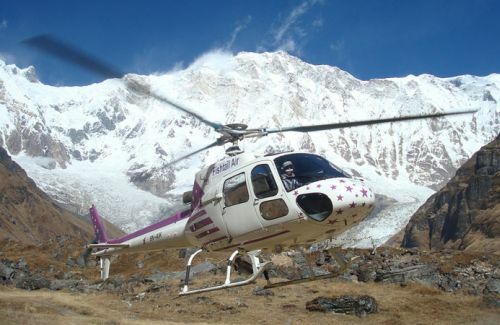 The representative of Himkala Adventure will pick you up from the hotel and drop you to the International Airport for the Langtang Helicopter Flight. This one and half an hour flight begins from International Airport. 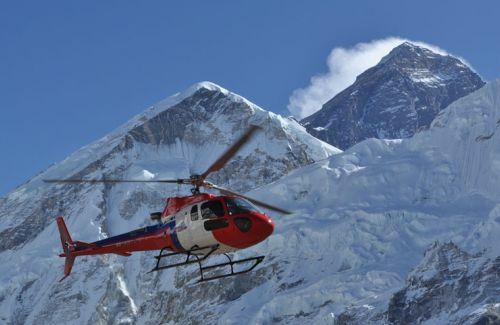 This is naturally gifted scenic flight to the nearest mountain from Kathmandu will fascinate you. The spectacular topography, firmly standing high mountains, shimmering lakes, playful clouds and the natural habitat for the Himalayan flora and fauna can give you the real satisfaction. After this you will fly back to Kathmandu, and then proceed to the hotel. Day 01Helicopter flight to Langtang early morning We drive from hotel to domestic terminal for the Langtang Heli Trip early morning. We spend about an our in the airport for check in and boarding pass. We fly from there at 7:00 am. It is a flight of 1:30 hours including 45 minutes ground time at Kyangjin Gompa. Leaving the airfield, the helicopter heads north and fly high above suburb Kathmandu. The views immediately changes from the urban city to hilly area. The natural setting with rural houses, terraced farmland and the mountain view ignite our soul. You will fly high above the village of Tamang people and enjoy spectacular views of Langtang Himalayan Range that lies in peaceful and remote region untouched by modernism.The helicopter lands at Kyangjin Gompa. We will take short visit of Government established Cheese Factory. The chopper will remain on ground for 45 minutes. We can take picture of glacier, adjacent hills and mountains. After this, we fly back to Kathmandu. There may be some kind of hindrances caused due to bad weather, natural calamities or due to political strife etc. which are beyond our control can cause the change of itinerary. The itinerary can be altered, taking in to the consideration of the best interest of the whole group. We try to minimize the effect of the changes but we are not responsible for the delays or your other schedule.